Over the past decade Santander Consumer Finance has established itself as a leading player in the automotive finance sector. Whilst as an organisation we have achieved great success, we also understand the need to continually develop our business proposition. Our goal is simple; to be recognised as the most admired automotive finance brand in the UK, admired by our manufacturer partners, our dealer partners and of course, by our customers. So how do we set about doing that? Offering great retail finance products and campaigns together with a competitive wholesale funding programme is a given. To really be the best it’s about delivering a holistic business proposition, one that adds genuine value to your business and makes us an indispensable partner. I hope this value story gives you some insight into how, through continued investment in our people, processes, products and platforms, Santander Consumer Finance is committed to being a leading force in the market, both now and in the future. The choice of who should provide your automotive finance is an important one. Important for your business and, of course, for your customers too. * 2016 service level for correct documentation received before 2pm Monday to Friday. † 2016 new business proposals received. Our vision is to develop the leading sales channel in the automotive finance market. This vision is driven by our corporate values of Simple, Personal and Fair, which are deeply embedded, both in the solutions we’ve already created and the many in development. Working to these values is rarely easy – it demands time, investment and a deep understanding of our customer needs. However, this will never deter us from developing a great experience for you, and your customers – one which is simple, transparent and fully FCA compliant. If you have your own Point of Sale finance tool, ask us about accessing our integrated web services. A full service solution for quotation, proposal and fulfilment providing real time two-way communication and customer documentation. Over 75% of dealers use our fast and reliable Funding Online process. Take control of when you want to execute an agreement and benefit from immediate transfer of funds. We offer transparent and compliant sales processes, which ensure your customers fully understand our finance products and can make an informed choice. We provide product video descriptors, enabled for your website or for use at Point of Sale. Our Santander Online proposal system is simple to use and constantly evolving to meet your transaction requirements. Currently integrated for use with the latest browsers Santander Online will see further improvement delivering a tablet enabled, device responsive system. Our plugin web calculators are now available, for you to use on your website, in the showroom or wherever convenient to you and your customers. These provide accurate and up-to-date finance quotes for both Conditional Sale and Personal Contract Purchase all branded as Santander Consumer to enhance customer trust. Consumer buying behaviour is changing. An ‘omni channel’ approach is required to provide customers the information required without leaving your domain. Existence relies on change; at Santander Consumer Finance we are challenging ourselves to overcome complacency and habit-driven approaches. Partnership will provide you constant evolution of traditional and digital customer experience ensuring our mutual long term prosperity. Our goal is to ensure that everything we do is Simple, Personal and Fair, holding TCF principles at the heart of our business and across our entire product range. The automotive sector is constantly evolving and that’s a good reason to partner with a finance company with innovation and speed to market at its core. We are committed to providing you with products designed to surpass the high expectations of today’s consumer, the opportunities of the fast-changing digital world and the evolving regulatory framework. We provide a comprehensive range of finance products to meet the varied and changing needs of both personal and business customers. We are here to help you sell more cars, more often, and more profitably. 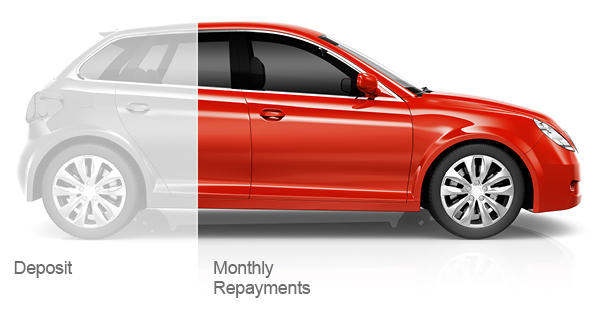 A simple and traditional way to finance a car over a fixed period for a fixed monthly amount. A Conditional Sale agreement with a fixed rate, fixed payment and a deferred lump sum final payment. 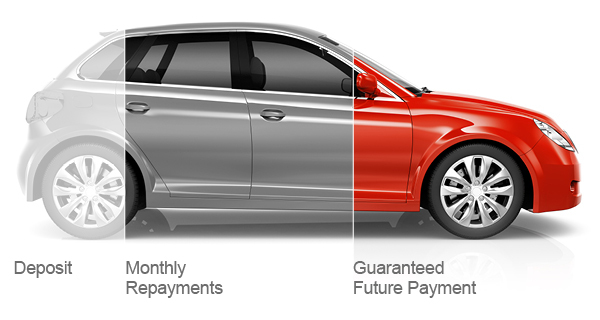 Provides lower monthly payments compared to an equivalent standard Conditional Sale. Also known as PCP, this is a flexible and popular plan that provides the customer with the option to retain, renew or return the car at the end of the agreement. vehicle. Not available as a standard product choice. the end of the agreement. Not available as a standard product choice. and services, offered independently or in conjunction with a vehicle finance agreement. regular monthly rentals over a fixed period of time. Ownership is not possible. A Conditional Sale finance product, specially designed for business users. 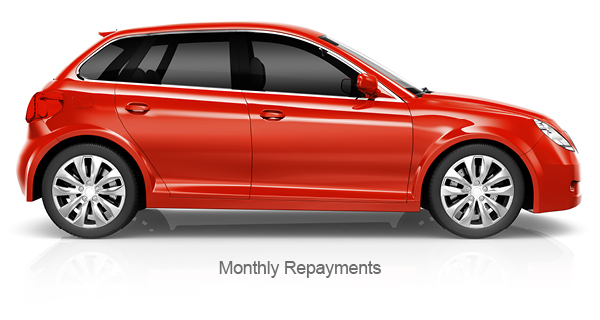 A Lease Purchase, with a deferred lump sum final payment. We provide finance for a variety of ‘non-standard’ vehicles, including high value premium marques, specialist executive cars and wheeled business assets (including transporters and construction plant). Please contact us for further information. Our relationships with leading specialists and trusted brands mean that whatever the size of your operation, your business and your customers can benefit. Our field team will support you with relevant training and consultancy to maximise your investment and contribution to your business. Our exclusive relationship with the UK’s leading provider of service plans gives you a product that improves retention, increases workshop revenue and gives your customers peace of mind. Replacement of a damaged tyre or wheel can be costly, which is why this product has proven so popular with customers over the years. Cover includes up to ten alloy wheel repairs and five tyre replacements. An outstanding product which protects both the exterior paintwork and interior upholstery against the ongoing rigours of everyday life, all backed up by a five year guarantee and outstanding aftercare support. A popular product designed specifically to cover the difference between a motor insurance payout and the amount originally paid for the vehicle, or the amount outstanding on finance. A state-of-the art repair concept that will help customers to retain the value of their car following a scratch, scuff or dent, potentially without the need to visit a body shop. Guarantee to the customer that, following an MOT test failure due to one of the listed parts, that part will be replaced. Provides customers with peace of mind, and you with improved retention rates. We’ve been using the services of Santander Consumer Finance Wholesale Funding for over a decade now and find them an extremely flexible and efficient organisation. We have developed a wonderful working relationship with the Santander Wholesale team. Our range of wholesale solutions is designed to enhance your cashflow. Our financial stability offers a partnership with a dependable provider regardless of the market or other influences. Dealer preferred stock funding programme for new, used and demonstrator vehicles. Santander Consumer Finance takes title on the stock funded and this is settled on the sale of the vehicle. A revolving credit facility for the funding of stock that is not secured on an individual vehicle basis. A loan facility for all working capital requirements including redeveloping or purchasing of new or additional business premises, and business acquisitions. Exclusive to Santander Consumer Finance, this allows you to purchase stock at any of Manheim’s vehicle auctions, either online or in person and charge the cost directly to your existing wholesale facility. It’s quick and convenient and provides a significant cashflow benefit. Our aim is to make financial markets work well so that consumers get a fair deal. We supervise firms to make sure they act in the best interest of consumers and the market. We have responded by ensuring the FCA’s principles are embedded throughout our products, services and support to ensure positive customer outcomes for all. By working with us, you’ll have the confidence you are partnered with a company who not only understands the regulations, but embraces them and recognises that doing the right thing isn’t just about ticking the compliance box – it simply makes good business sense. Through the provision of video descriptors and clear and transparent documentation we ensure your customers receive clear, fair and not misleading information. By helping them to understand our products, services and offers we are empowering them to make informed decisions. We will continue to develop solutions and provide pertinent information as required to help you meet the regulatory requirements and demonstrate how the FCA’s principle of Treating Customers Fairly is at the heart of our business. Whilst the FCA is to be respected, it should not be feared. Following its ’Treating Customers Fairly’ code of conduct isn’t just about putting a tick in the compliance box. Doing the right thing for our customers each and every time simply makes good business sense. 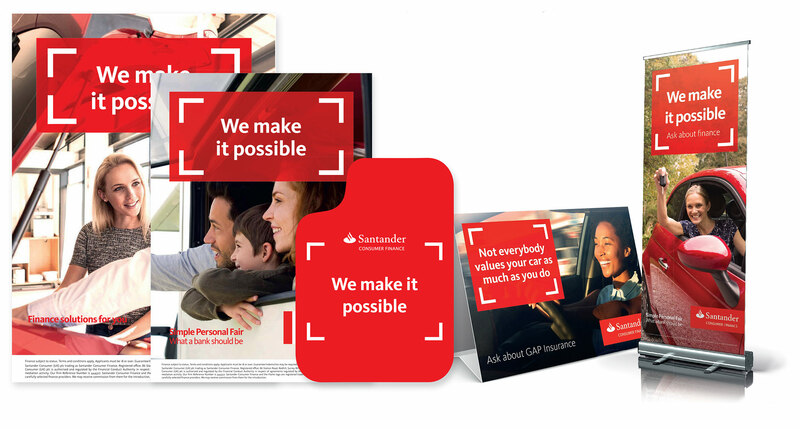 Santander Consumer Finance recognises that a structured approach to customer communications is vital to improving customer loyalty. Our lead-delivery tool, Gateway, provides access to your live portfolio of customers along with targeted leads. It also provides ready-made communications, materials and training to help you implement an effective renewals programme. Gateway is a sophisticated yet simple-to-use marketing tool. It is easily accessed and free of charge to supporting dealers. Gateway delivers a portfolio of maturing agreements driven by an integrated contact strategy identified through data insight. This results in relevant and timely renewal opportunities, giving you more time to convert the leads into sales. Your portfolio of leads can be segmented in a number of ways so that you can create bespoke communications and offers based on, for example, vehicle, finance product or customer demographics. Our team is equipped to provide comprehensive support, to maximise the conversion of Gateway data into sales. This includes system training, effective lead management, structuring of customer renewal offers, development of call strategies and scripts and creation of successful prospecting events. A comprehensive suite of reports offering you Ml on numerous KPls around your customer retention, in-dealer renewal process and customer behaviours. 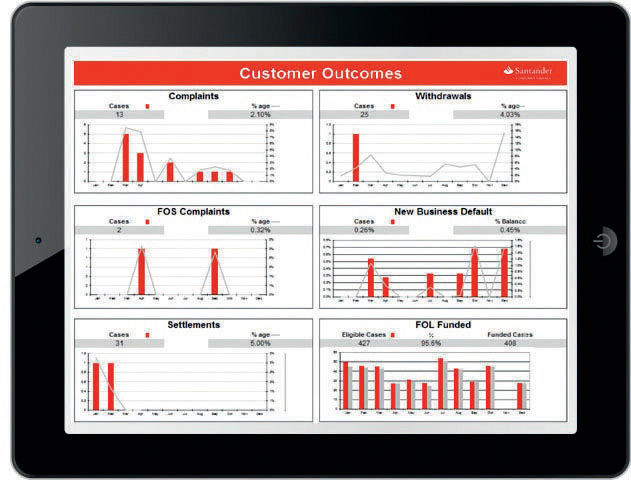 These help you to manage and optimise your renewals programme. We continually review the functionality and usability of Gateway to ensure it meets the needs of the dealers and reflects customer re-purchase trends. Renewals and loyalty is an important part of our business. Gateway is simple to use and very effective too. It has helped us to enhance our contact strategy, and has certainly delivered a tangible sales benefit. We pride ourselves in the strong and enduring relationships we’ve created with thousands of dealer partners across the UK. The breadth and diversity of these relationships provides an indepth understanding of the challenges you face. We’d like you to think of our people as an extended team, and an ’embedded’ part of your operation. We have a strong team of experienced and dedicated Regional Managers whose detailed knowledge of the automotive industry and consultative approach will help you to strengthen your finance and insurance performance. They can enhance your team’s product and presentation skills and help them to develop your Trade Cycle Management opportunity. We provide regular business reviews, with the lens focused on identification of opportunities to achieve your current and future business objectives. When you or your colleagues are in need of coaching or development, our Regional Managers can now deliver this though our Ml Business App, a versatile solution which also provides you with an audited record of training delivery. Our systems, processes and back office support make it easy to conduct business with us. We’re on hand to ensure you and your customers are supported at every step of the journey. We understand business improvement is driven by the right MI. Our regular performance data helps you keep track of commercial and customer outcomes and provides tangible evidence of regulatory compliance. best practice to support your development. Santander Consumer Finance has been our preferred finance partner since 2009 and I truly believe they have played a major part in the success of our business. Their staff are extremely knowledgeable, professional and, most importantly, accessible when we need them. Choosing the right partner is vitally important and I would recommend Santander Consumer Finance to any business. We believe there is a clear link between development of individual professionalism and business performance, and this is why we’ve invested in a dedicated development team. They are here to support you by providing knowledge and understanding that will develop your people, and help to drive your business forward. The role of the Finance Specialist within dealerships has evolved considerably in recent years and has never been more important. Having a strong understanding of the latest regulatory requirements along with appropriate sales techniques will help to ensure the right balance between achieving the right customer outcomes and delivering successful returns. This is a four day programme using a blend of on-site coaching and workshop based learning to provide delegates with the skills and confidence to realise their full potential. This one day workshop has been designed to provide the foundations for understanding Finance and Insurance products and a knowledge of how to present them effectively. A basic but essential course for any person who is new to the industry or who just needs a refresher. Interaction with customers and colleagues can make or break the relationship, yet it is an area that rarely receives attention. Customer experience is everything and good communication techniques are vital for us all. This one day course explains how to embed effective telephone etiquette and display professionalism in face-to-face situations – helping you to exceed the expectations of your customer, and the dealership. Maintaining and developing customer relationships is vital. In support of our renewal proposition, this workshop shows how to turn customers into loyal clients and advocates for your business, focusing on both in-dealer sales and the renewal process. This one day course will show delegates how to: create customers for life, understand buying behaviour, set up the first sale for renewal success, make and maintain meaningful regular contacts, become a trusted adviser, understand re­purchase triggers and manage the customer trade cycle. Understanding how to present products in a simple and compliant way is an integral part of the dealer sales process, and contributes to presentation of professional and tailor made solutions. This one day course will show delegates how to ensure your customers are able to make an informed choice, and how to qualify them in order to establish eligibility and personal needs. The traditional solution for a group, which can be delivered either at your premises or off-site. A personalised approach which is more able to focus on the specific training needs of an individual. Available 24/7, allows individuals to learn online at a pace and a time of day which best suits them. The Santander brand will bring reassurance to your customers and confirms that you take finance seriously. We provide everything from price hangers and finance quote pockets to car mats, flags, pull up banners and desk items like mugs, pens and desk pads. Designed to raise awareness and prompt the customer to ask your team about finance, the large range of material allows you to choose just the right tone for your site. All our point of sale items can be ordered from your Relationship Manager and are usually delivered within 48 hours. Our proposition has made us the leading motor finance company in Europe, and one of the leading independent finance companies in the UK. A key part of that success has come from the partnerships we have with you our dealers and motor manufacturers. From our joint venture participation in Hyundai Capital UK Ltd, through to the branded finance solutions we provide for a number of other manufacturer partners, we are at the very forefront of the motor industry in the UK. Together with Banque PSA Finance UK, we have created PSA Finance UK Ltd, a joint venture, providing wholesale funding across the Peugeot and Citroën dealer networks together with a wide range of retail funding options to their end customers. All of this provides us with wide exposure to the motor industry, from which we share, and gain, best practice. Just as important though it gives us long term security and sustainability. So when you partner with us you’re in good company – you’re working with a well-established and well-connected motor finance company. An impressive growth record in the UK coupled with an extensive global business reach has laid the foundations for a company that has real financial stability. And from that financial stability comes the knowledge that through the tough times as well as the good, we will be a consistent, progressive presence in the market. Are you a motor dealer who would like to work with us? If so, please complete the form below and we will get back to you you shortly. If you are an existing dealer do not use this form – please contact your Santander Consumer Finance Regional Manager or call our Dealer Contact Centre on 0871 522 5858. *In which region/county is your business based? Please note: this is for dealer enquiries only. If you have a query regarding your own finance agreement, please visit the Manage your account section of our website.